Slideshow: Myth? Legend? How about absolute fact. 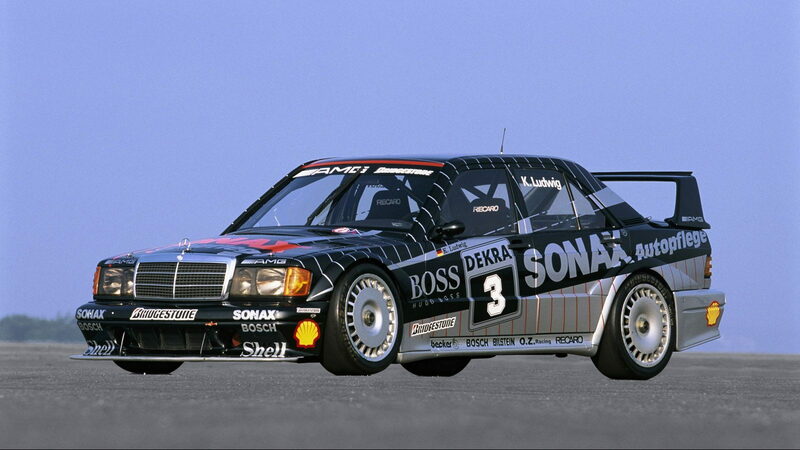 The 190 E Cosworth was the original German touring car. Oversquare that is. With a larger bore than stroke the 190 E was capable of revving to 7,000rpm with a top speed of 143mph. 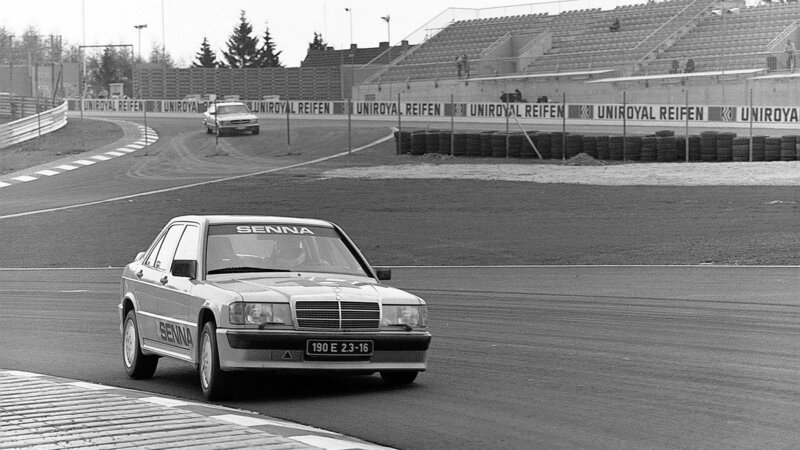 This unique car was built so Mercedes could homologate the racing car they sough to chase after DTM titles with. This would show their dominance over other manufacturers in a cut throat proving ground: the race track. The very first iteration of the 190 E sports car was the 190 E 2.3-16 model that debuted in 1983. 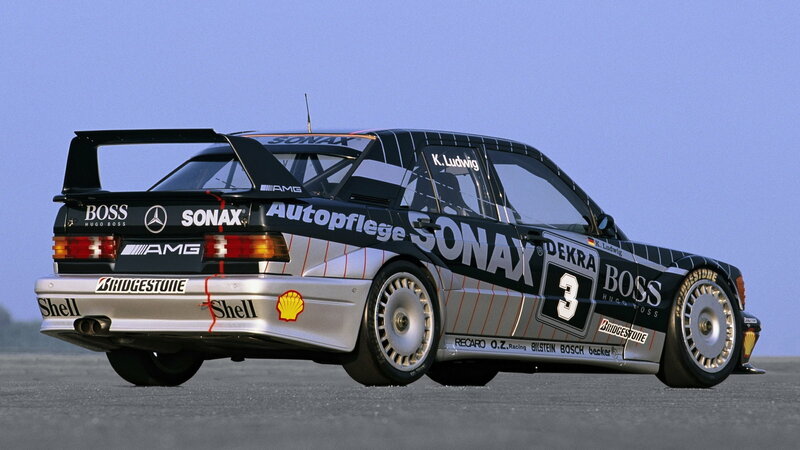 The road-legal version of the DTM racer was updated later to a 2.5-liter engine in '88. Aside from the upgraded performance, the 16-valve 190s had visual and aero elements to distinguish them from the regular 190 E.
The 16 valve 4-cylinder sports car was so good that another German company took notice. You might have heard of them and a car called the E30 BMW M3 which has become a legendary car among tuners. Well, this “legend” would have never existed without Mercedes-Benz. In response to the introduction of the M3 Sport Evolution, Mercedes came out with an Evo version of the 190 E to take it to the competition. In 1990, the production of the 190 E Evolution II was kicked off. The Evo II is among the most sought-after Mercedes sports cars ever, with resale prices upward of $200,000 for pristine examples. >>Join the conversation about the Mercedes-Benz 190 E Cosworth right here in MBWorld. Any Benz you get to use a clutch pedal on is special. Vintage Mercs have a precision in the gearbox that few other companies of the time even came close to. This definitely translates into the 190 E Cosworth which came with a manual transmission. It’s hard to imagine this coming back which makes the Cossi something special. Of course, a German driving team was paired with the car for the championship. Many fastest laps in the 1993 season were set by Klaus in the 190 E which is a testament to how fast Mercedes is when they put their minds to getting the job done. People often confuse them as being just a luxury brand, but their roots run deep in motorsport. The early 190 E 2.3-16 and 2.5-16 cars can be found for around $20,000 in some cases and usually require the maintenance you would expect on a car that is 3 decades old. Still, they are good values for money and examples of a Mercedes-Benz that you don’t often see on the road. They inspired another legend and dominated the race track. Myth? Legend? How about all of the above.